This article was first published on GoBear. Compare credit cards, insurance and other financial products based on your needs at GoBear. Are you a shopaholic? Do you have problems paying off your credit cards, which are always maxed-out? Must you always have the latest Surface Pro, or iPhone (oops! ), or this season’s fashion accessories? 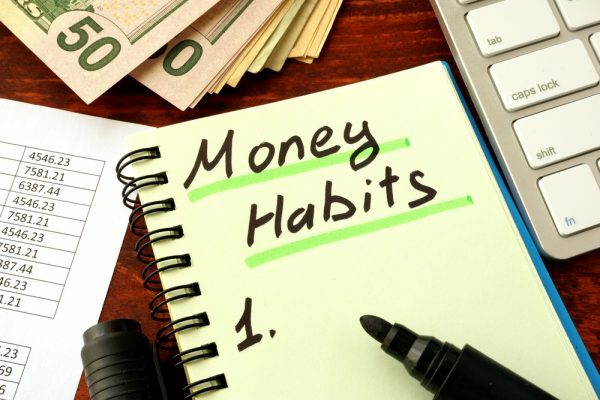 If you want to kick your bad spending habits, help is here. Whenever you have an opportunity, go around your rooms and note down everything you own. Yes, it helps you to know what you already have and don’t need to buy again, but it’s also a reminder of what your bad spending habits have already resulted in. If you have as many shoes as Imelda Marcos, for instance, or have several dresses you haven’t even worn twice, or have 3 TVs when you want to buy a 4th, that may be a sign that you should cool it a little on the shopping. Well, maybe not literally, but make it difficult to get access to them. Put them in a safe, or a safety deposit box at the bank, or better yet, hand them over to your spouse. Especially given how easy it is to use credit cards these days with Visa PayWave and so on, having credit cards just lying around makes it too easy to relapse into your bad spending habits. But there are many advantages to using them as well, so you should have one just in case – just make sure the credit limit on it is as low as you can make it. Just like dieting, setting goals is an important first step towards figuring out how you’re going to achieve them. Your goals should be ambitious… but also realistic. This also gives you an incentive to kick your bad spending habits. Just like dieting, setting goals is an important first step towards actually figuring out how you’re going to achieve them. Your goals should definitely be ambitious… but also realistic. This also gives you an incentive to kick your bad spending habits. Bring some spare cash with you for emergency use, and leave everything else at home. That way, you can have all the fun of shopping without buying anything. At the same time, it will cut down on impulse shopping for anything you can’t afford. You can’t indulge in bad spending habits if you don’t have any money to spend, can you? This is especially important if you’re the type that gets easily distracted by all the promotions and sales offers. Shopping lists help to organise your thoughts, and by concentrating on what you need to buy, rather than what you think is a good buy, they can help cut down on extraneous purchases and keep your bad spending habits under control. As for all the money you already owe on your credit cards? Well, consider taking up a personal loan to consolidate your debts; it’s cheaper and easier to service one personal loan than several credit cards, and if you follow the other tips and tricks above, you’ll get out of your financial worries faster. Best of luck! GoBear makes comparing insurance plans and financial products simple for you to find the right one. We take all the complicated information from banks and insurance providers, make it easy to understand and lay it all out on any of your preferred device-computer screen, tablet or phone. We present it in a way that's easy for you to compare apples with apples. Looking at gaining exposure to global indices? Read here.